Defocused shot of ambulance on a city street, stock image. The 21-year-old driver of the car was not hurt. 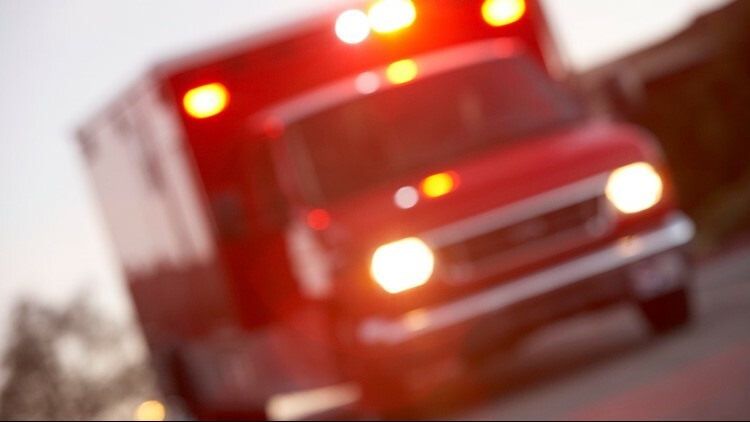 JASMINE ESTATES, Fla. — A 94-year-old man on a mobility scooter was killed after riding into the path of a car in Pasco County. It happened around 1:47 p.m. Thursday on the southbound side of Little Road -- just south of Fox Hollow Drive. Investigators say Nicholas Sacripante, of Port Richey, was riding westbound across Little Road when he was struck and died at the scene. Authorities say alcohol was not a factor in the crash.